Newstart offer various coaching programs for executives and management teams. 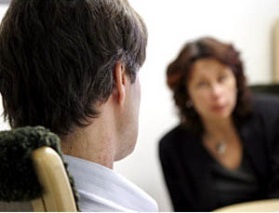 Through a strictly confidential service at Newstart, you have access to a dedicated and professional dialogue partner. Being a manager and leader can be inspiring, challenging, fun and difficult. Even if you have long experience in management it can be good to get perspective or a sounding board for an idea or a situation. Coaching is an inspiring and effective tool which assumes that the individual has the answers and self-will to find their solutions with the help of a professional sounding board. It can be used to create perspective on a situation or a challenge. It can be a source of inspiration and power. Newstart’s coaching program for managers focuses on developing you as a leader, where you in a confidential manner have access to an independent and neutral dialogue partner.. We support both young leaders and managers with long experience who need support in their leadership role. Management / Leadership Coaching is about developing the company by developing the people who run the company. Management / Leadership Coaching is based on helping you get the support you need to succeed in the best way to achieve your goals. We work to help you make the right decisions, get focused and use your full potential at work. You may need support in a situation of change or want to find a better balance and stress relief. A personal coach supports you and is there for you and your personal development. Newstart’s coaches themselves have long experience from management positions and are both certified coaches and career coaches.